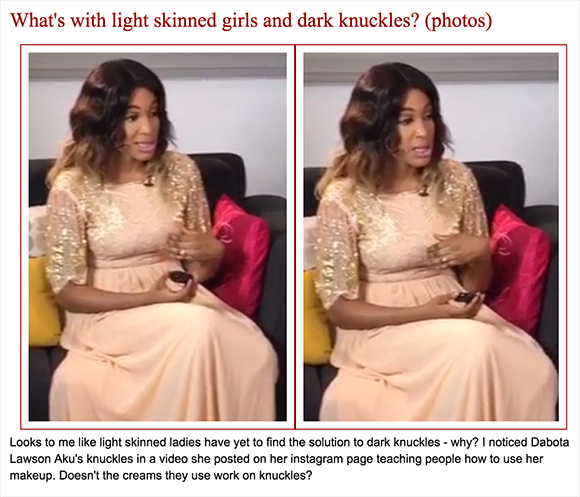 " Looks to me like light skinned ladies have yet to find the solution to dark knuckles – why? 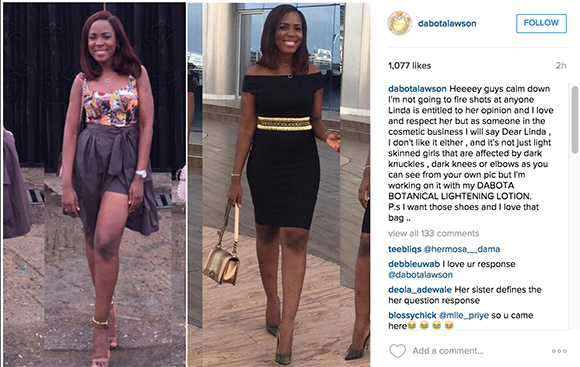 I noticed Dabota Lawson Aku’s knuckles in a video she posted on her instagram page teaching people how to use her makeup. Doesn’t the creams they use work on knuckles?" 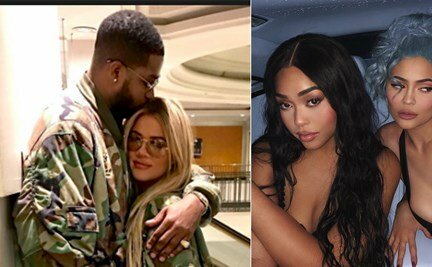 Some readers blasted Linda for the post throwing shade at her younger sister "Laura" who they called out for also bleaching her Skin. A reader said " Why not ask your sister Laura". Heeeey guys calm down I'm not going to fire shots at anyone Linda is entitled to her opinion and I love and respect her but as someone in the cosmetic business I will say Dear Linda , I don't like it either , and it's not just light skinned girls that are affected by dark knuckles , dark knees or elbows as you can see from your own pic but I'm working on it with my DABOTA BOTANICAL LIGHTENING LOTION. P.s I want those shoes and I love that bag . I don't visit her blog. But yes. ..her reply is spot on. Dark , fair , bright lol etc. .Can have dark knuckles and knees. Lack of the cream getting into those parts of the body. Doesn't take away the fact that a lot of bleachers suffer the same fate but in a more obvious fashion.